Great Gifts for the Holidays! Nine months ago my paratrooper son jumped from a plane for the first time. That is one of the most exciting rites of passage for a soldier during his training, and as strange as it sounds, it’s exciting for the parents too. So on that day, we packed up a bunch of our other kids with a picnic blanket and some snacks and we set out with all the other army parents of the unit to the designated First Jump Location. I wasn’t prepared for the aesthetically beautiful sight that met me there, and that’s why I mention it in this blog. The sight of those parachutes floating through the air, slowly descending till they reached the ground was so strangely peaceful. My son actually said the same about the moments right after the jump, when he just relaxed for a couple of heavenly minutes while the air around him did all the work. And then of course, it was abruptly over, as he hit the hard dirt and thorns on the ground, and had to roll to safety with all of his equipment and parachute still attached to him. Now I couldn’t see any of that unpleasant part, because we were too far away. And admittedly, I didn’t really see my son’s face when he jumped out of the plane, or when he hit the ground. But from my vantage point, on my picnic blanket, it just seemed especially beautiful. So much so, that when I got home, I took all the stills and video footage of what I saw that day and made a little movie. Tonight, my son will take his last jump of his training (with G-d’s help). It’s in the dark, so parents don’t go. (We wouldn’t see anything anyway without those night vision goggles that the soldiers get). Instead, I sit down now and revisit the video I made of his first jump. I find I can watch it over and over again, and somehow it moves me to tears every time. I can’t seem to ever turn it off in the middle. I always need to wait till the whole song is finished and the last frame leaves the screen. It’s a combination of emotions mixed with inspiration, national pride, purpose…I don’t know, but it leaves me with a deep sense of loving life somehow. I guess the point of writing about it here, on this blog, besides marking the occasion of tonight’s Final Jump, is to share the following message with you. There is true beauty everywhere. Sometimes you have to look harder, but it’s there, even if your son is jumping out of a plane. Seek the Divine Hand, find it, and appreciate it. Here’s the best part. 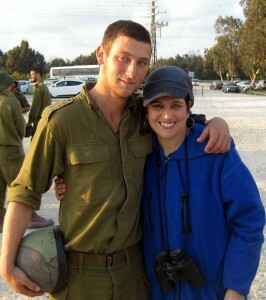 He does his last jump tonight, and then he gets to come home tomorrow for shabbat! Now that is beautiful. Little things like this is why we all love you! While watching Kobi and the rest of your video, i couldnt help but be proud. Its just this ability you have, of finding the beauty in everyday life, which explains why everything you touch is beautiful: from your artwork to your home and children. Thanks Roz. I miss you. Purchase directly from the artist. 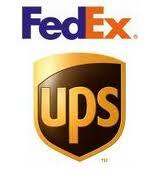 Items ship within 2 days of order, from Israel to your door. Free shipping for purchases over $1000. Papercut Judaica | Jewish Gifts | Jewish Papercuts from Marci Wiesel © 2019. All Rights Reserved.